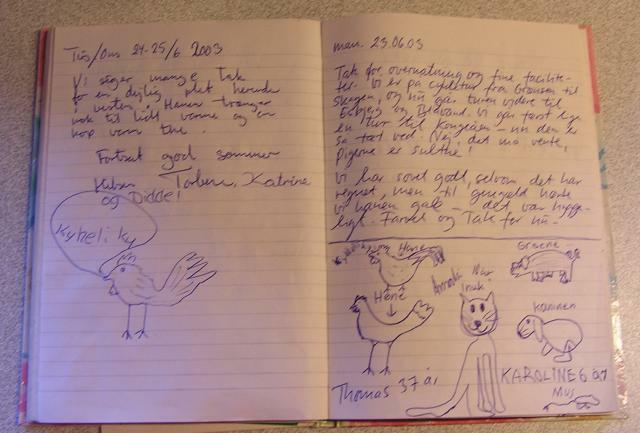 Most sites have a diary/ guest book to record what you thought of the site. 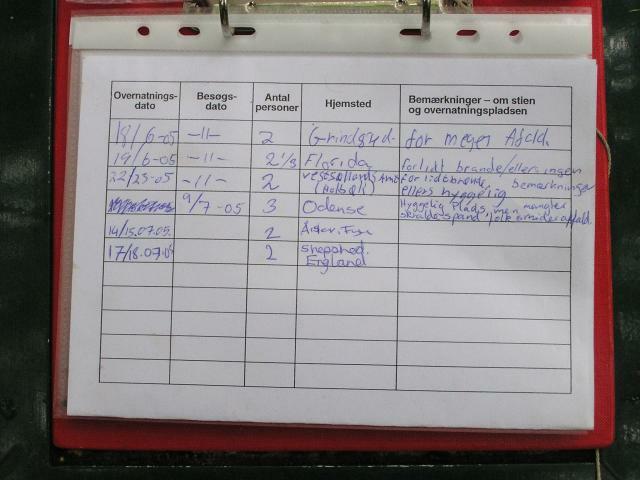 The first site we visited, site 371, Ǻplads ved Karlsgårdeværket, near Varde, had a simple log book of proforma sheets. From this you can see that the sites are not frequented to often. 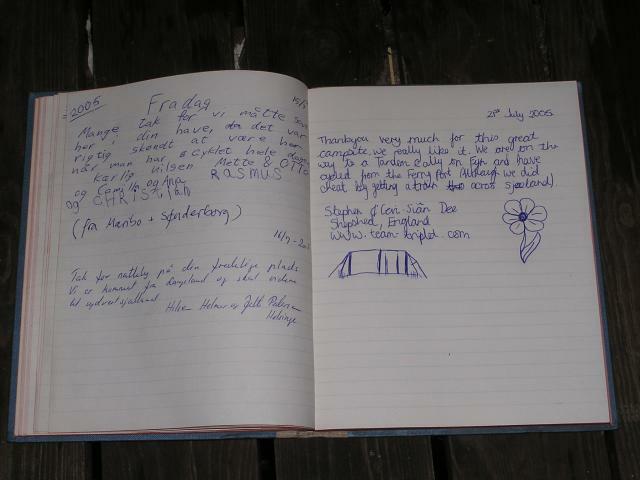 The next site we came across a guest book was at site 736, Sundby on Falster. 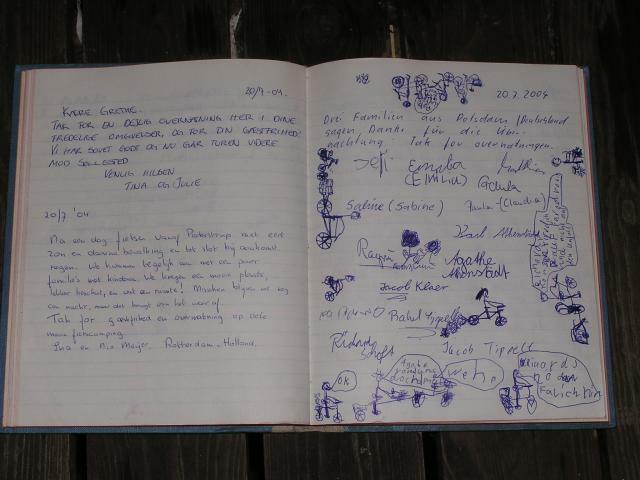 Here the land lady made a point of bringing out the guest book and making it available for us to complete at our leisure. 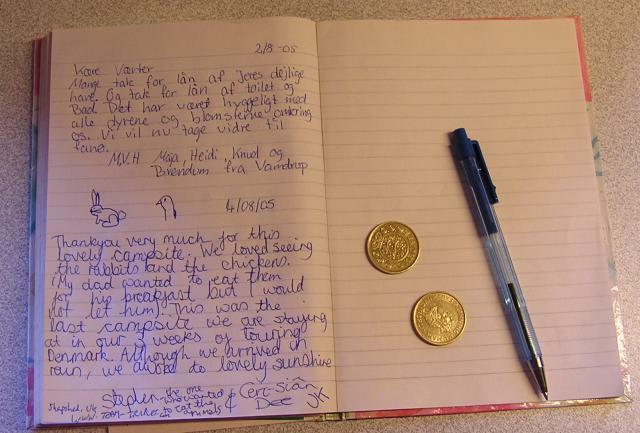 With sites being visited infrequently, some guest books are many years old. 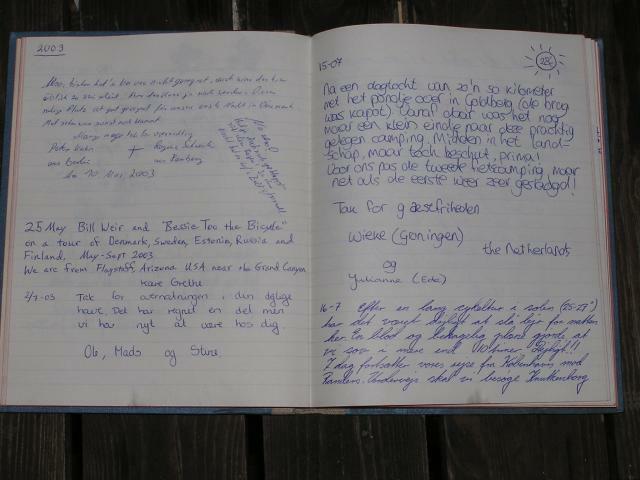 At site 413, Jedsted, the oldets entries we found were from 1996. 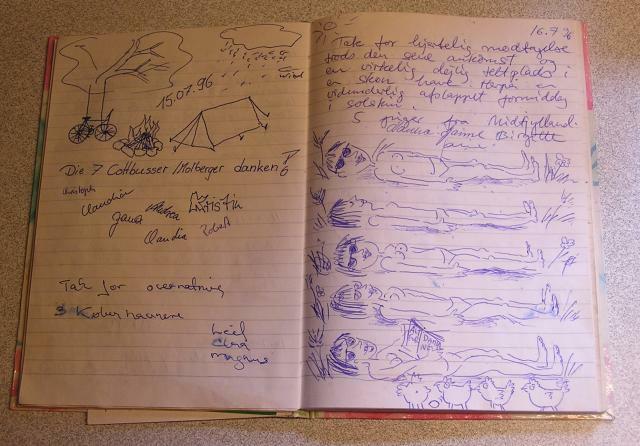 A reoccurring theme we found at our last site was the animal sketches. 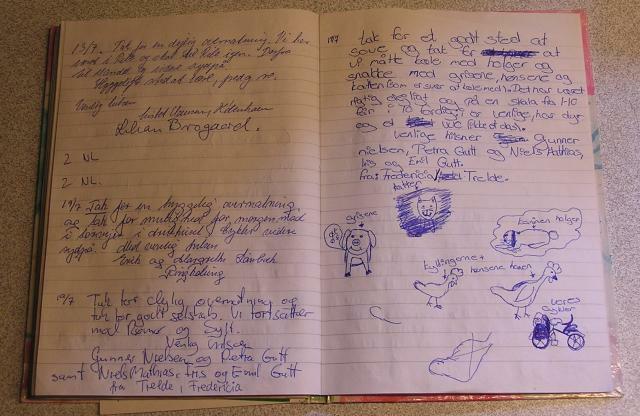 Ceri-Siân added a little rabbit and duck head to her entry. The money, 40 Kr was for the site fee and a shower. 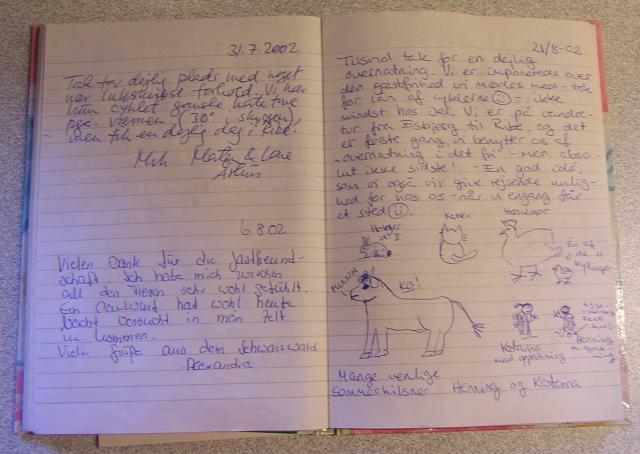 the Landlady was not around when we left so I left it in the guestbook.